Philippines, 25 March 2019 – iflix, Southeast Asia’s leading entertainment service, today announced a collaboration with Twitter in an exclusive campaign to broadcast the first iflix Originals movie in the Philippines, Mystified. For the first time in Southeast Asia, Twitter users can catch the full-feature film directly through the platform at 8:00 PM (GMT+8) on Friday, March 29 on iflix Philippine’s official Twitter account (@iflixph). As a special treat, fans can live Tweet with the film’s stars; including Iza Calzado (@MissIzaCalzado), Sunshine Dizon (@m_sunshinedizon), Karylle (@anakarylle), and Diana Zubiri (@DianaZubiri15), in an interactive Twitter party. 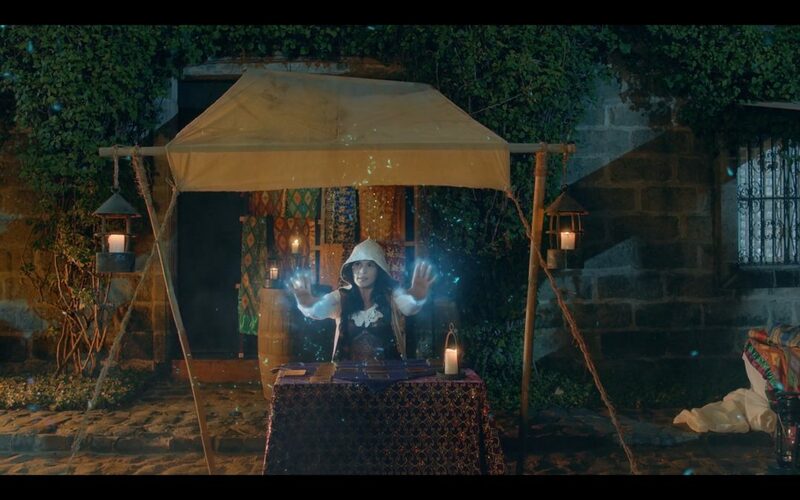 To join the conversation in real time and get the latest news, details, and trivia; users can follow @iflixph and use #MystifiedOnIFLIX hashtag. Watch the Full Trailer of #MYSTIFIED starring @MissIzaCalzado, @m_SunshineDizon, @anakarylle & @DianaZubiri15, directed by Mark Reyes premiering on March 29 at 9PM for FREE only on #iflix. #MystifiedOnIFLIX ? Mystified tells the story of four sorceresses who, through their combined efforts, have banished the evil witch Hellga and locked her away with the Portalis. Sent to live in the real world to protect the magic portal – without permission to use any of their powers – they must come together to protect mankind from a great evil that is coming their way. The action-fantasy-drama will also be available on-demand on iflixFREE and iflixVIP from 29 March at 8pm. Twitter (NYSE: TWTR) is what’s happening in the world and what people are talking about right now. From breaking news and entertainment to sports, politics, and everyday interests, see every side of the story. Join the open conversation. Watch live streaming events. Available in more than 40 languages around the world, the service can be accessed via twitter.com, an array of mobile devices, Twitter Lite (mobile.twitter.com), and SMS. For more information, please visit about.twitter.com, follow @Twitter, @TwitterPH, and the South East Asia blog; and download both the Twitter and Periscope apps at twitter.com/download and periscope.tv. iflix is Southeast Asia’s leading entertainment service with the widest and most compelling selection of TV shows, movies, hyperlocal originals, premium live sports and up-to-the-minute news from around the world, to stream or download, on any internet connected device…wherever, whenever. Created specifically for the more than one billion consumers in emerging markets, iflix now offers users two exceptional experiences through its iflixFREE and iflixVIP offerings. iflix is currently available to consumers in Malaysia, Indonesia, the Philippines, Thailand, Brunei, Sri Lanka, Pakistan, Myanmar, Vietnam, the Maldives, Kuwait, Bahrain, Saudi Arabia, Jordan, Iraq, Lebanon, Egypt, Sudan, Cambodia, Nepal, Bangladesh, and Morocco. Learn more at https://blog.iflix.com.